We’ve been told that our chosen songs were pretty weak in all our films. We couldn’t find any decent royalty-free music, so we turned to music made by professional artists. Here are some of our considered songs for the “epic” scene (when the toast flies out of the toaster). This was a fun little animation test I did before we started animating in 3D to get an idea about how these pieces of bread might move. 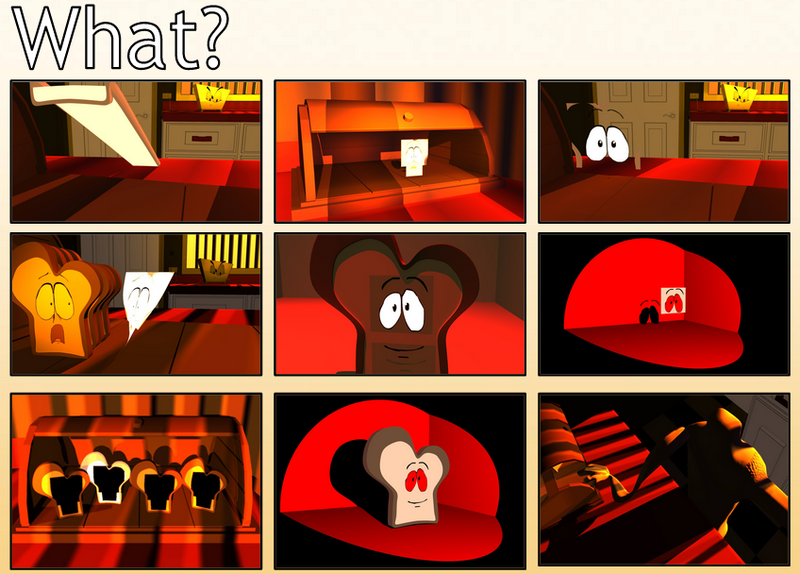 Though we would not be lip-syncing in the actual film, I thought it would be interesting to try to see how the mouth and eyes would move in relation to the little noises a piece of bread might make. We finished all the animation. The only things that needed tweaking were the sounds and the music. We also needed to fix the lighting in the second shot. We were not without problems; most of them were light related, but we did manage to fix all the problems in time. We were originally going for a very cartoonish, almost 2-Dimensional aesthetic for our film, but after experimenting with lighting we realised that it wasn’t going to happen. 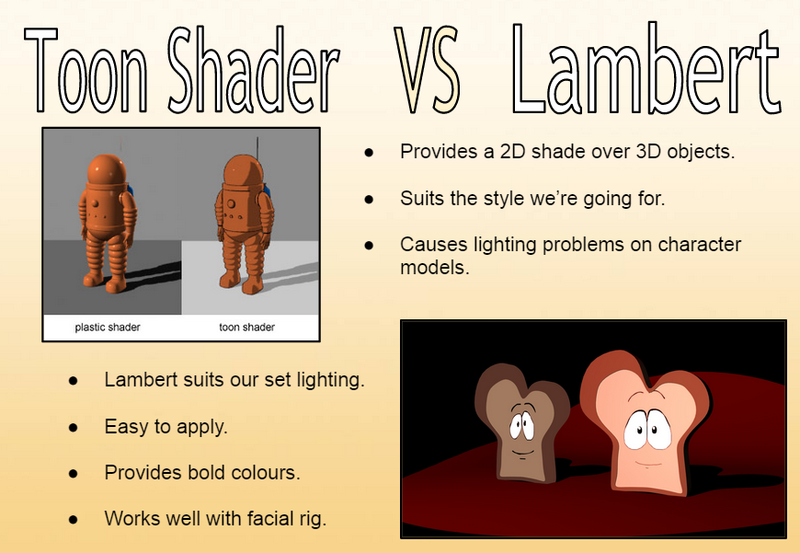 The Toon Shader wasn’t being affected by the lighting at all, and wasn’t casting the dark shadows we were looking for. Instead we went back to good ol’ Lambert, that cooperated with the lighting much better and still looked extremely cartoonish.